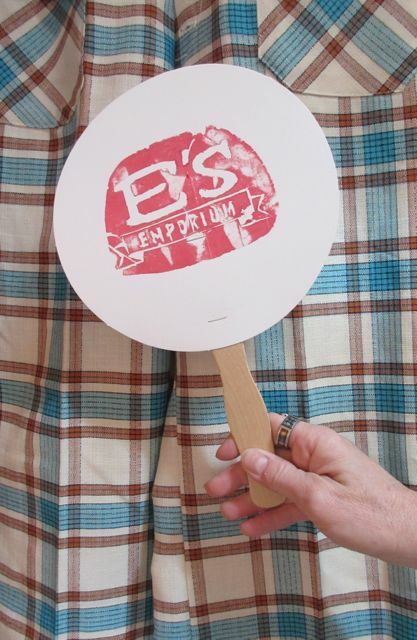 E’s Emporium has their own, hand-printed fans just like the ones you might find at the Fair! How cool is that? 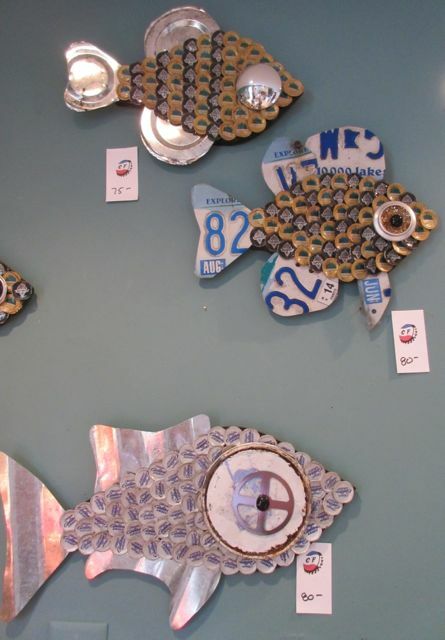 There is also fish art, dishes, hats, and furnishings from the 50’s, 60’s, 70’s and 80’s. 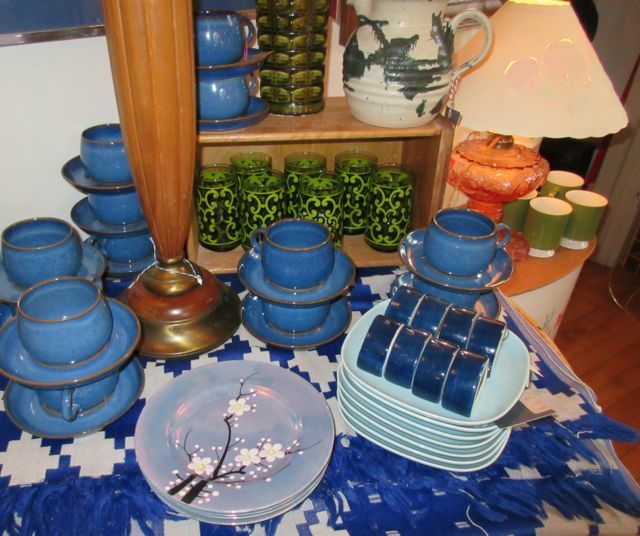 The store is open today until 7 and Sunday 11-5 at 3911 Minnehaha Avenue South in Minneapolis. (Note: Minnehaha Avenue is torn up so you might prefer parking on 39th Street). Happy saling! This entry was posted in Cool Find, Eye On..., Find of the Day/Spotlight feature, Reporting from..., Shop Spotlight, Weekly Highlights. Bookmark the permalink.